Zippered closure. Elastic pen loop. Documents pocket. 2 business card holders. 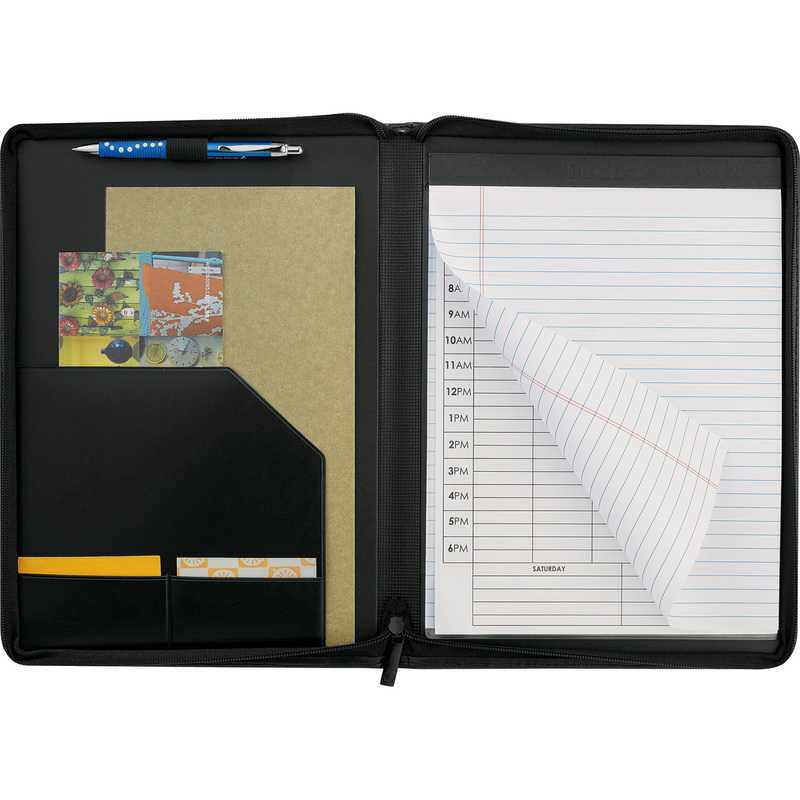 Clear calendar management pocket that doubles as a page marker. Comes with undated calendar insert. 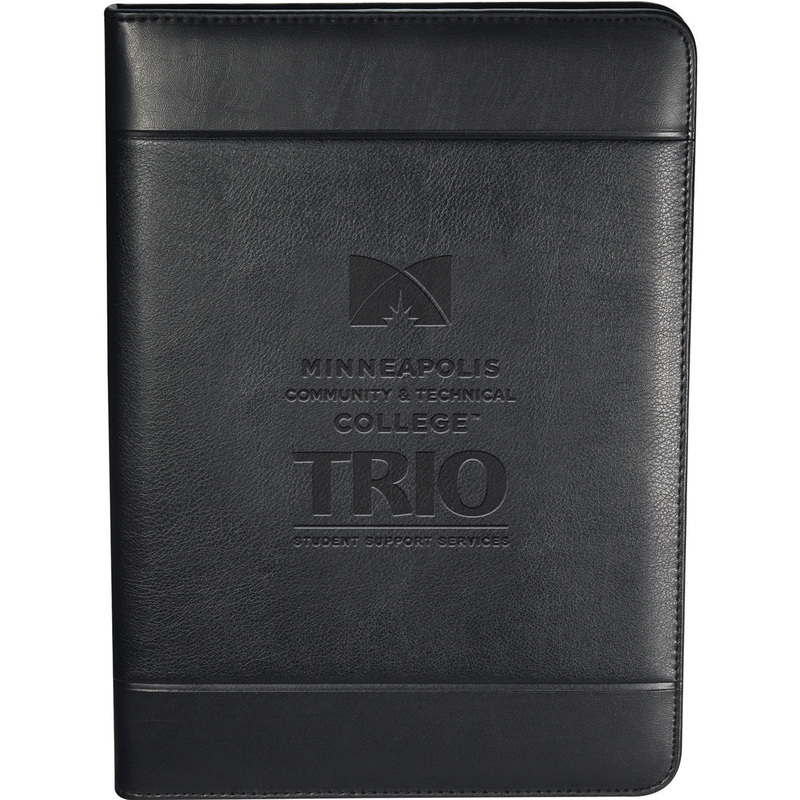 Includes 8.5″ x 11″ writing pad. Pen not included. Do you go custom graduation stoles?